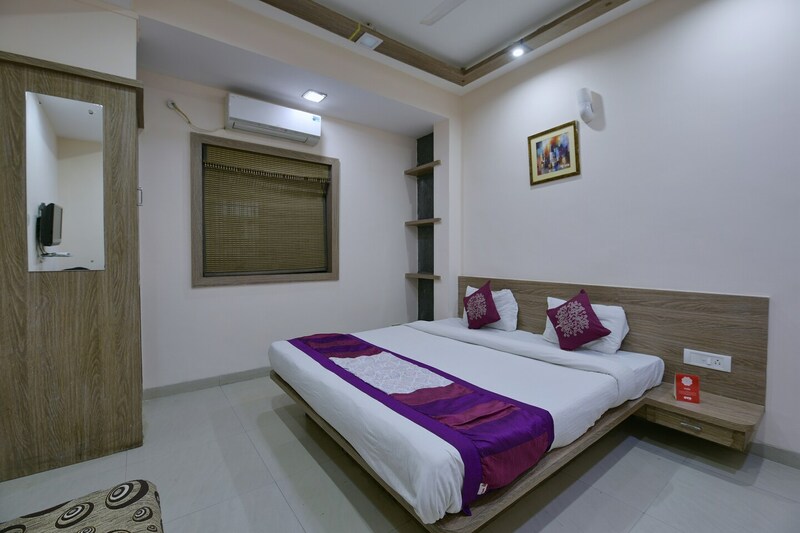 The Hotel Lords Inn Regency is quite popular among travelers visiting Indore and looking for accommodation options within a reasonable price range. The spacious rooms have been decorated in a very minimalist manner making the space peaceful and soothing. The color combination in each room is monochromatic and the elements of color are the curtains and the cushions. The sofa is a pleasant addition to the room, making for an extra seating space. The extra amenities provided by the hotel are free Wi-Fi, a constant power backup supply, parking provisions, card payment in all forms, an elevator facility, laundry provisions, and CCTV cameras. There is a common dining area within the establishment which can be used freely by the guests.